What is your favorite color? 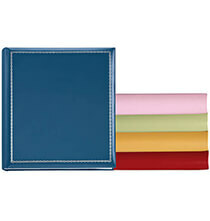 You are sure to find it in these beautiful European Felicity large personalized memo albums. Mix and match or choose your favorite, the choice is yours. I purchased this album in purple and had it inscribed with my son's name and his bride to be's name with the date of their upcoming wedding. It is a surprise gift in her wedding theme color for their wedding pictures. She loves it. It is top quality materials. It came out very nice. Worth the price! I bought the Felicity album to use as my daughter's photo album. I had it engraved with her name and date of birth. It is great! Holds a ton of pictures. The only draw back is the price. It is a little on the high side. As I was putting 3X5 photos, not even heavy 6X4 ones into the albumn the entire spine ripped away from the albumn, these are the cheapest albumns I have ever purchased. It's for a baby's first year and the colors were appropriate and it has memo pages and the price was right. MY BROTHER AND SISTER-IN-LAW SCRAPBOOK AND LIKE TO RECORD INFO ABOUT ALL OF THEIR PICTURES. THIS IS A LOVELY WAY TO RECORD MEMORIES OF THEIR TRAVELS. I have purchased a number of Felicity albums . They are well constructed, and I love the memo feature where I can record information about each picture. By displaying my photos in an album, the pictures are easy to see plus the ones looking at the pictures have information about where and when they were taken. baby books for my daughters. For a friend who just had her first grandbaby. I like the memo part. I can write in the dates and places seen in the pictures. These are sturdy albums and hold up well. What size Photo sleeves do I buy for this? BEST ANSWER: Thank you for your question. This is a memo photo album. This album includes 50 book bound pages. We hope this information will be of help to you. Is this album available in Navy? The blue one doesn't match those I have purchased in the past. BEST ANSWER: Thank you for your question. Navy blue is retired and we no longer will carry it.We hope this information will be of help to you. Are these peel - back covers or slode - in photos? BEST ANSWER: Slide in photos, which are easier on the pictures. The album is a very nice quality and I hope to get more when I have time to do our photos again. Thank you for your question. 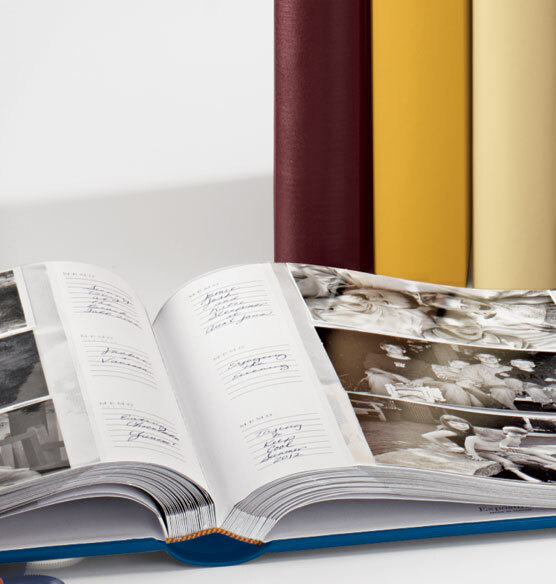 The pages are made with pockets to slide in 4x6 photos. We hope this information will be of help to you. They are slide in pockets. BEST ANSWER: Thank you for your question. 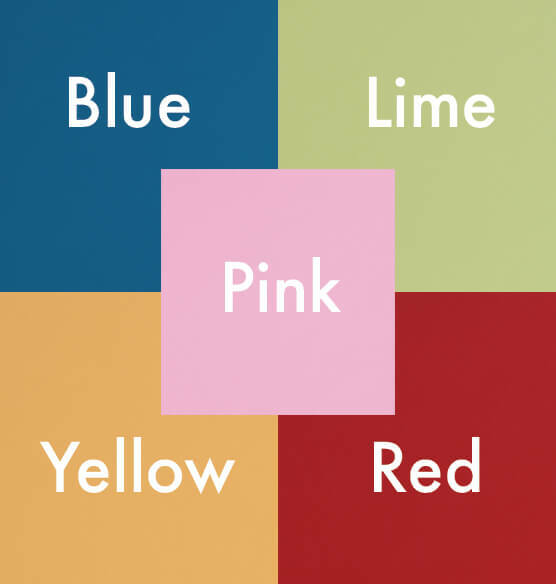 The only colors were carry are blue, lime, pink, red and yellow. We hope this information will be of help to you. can the large album hold 8 x 10 photos? BEST ANSWER: Thank you for your question. You will need to order the regular Felicity album and purchase 8x10 pages separately. The memo albums are book bound and hold what the description on the website states. We hope this information will be of help to you. Will lavender return as an option for the album? 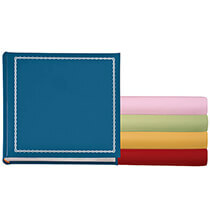 There needs to be color palettes suitable for baby albums. I have an album in Mint that I used for my son's first year. Lavender would be brilliant for my daughter that we are expecting to arrive any day. Thank you! BEST ANSWER: Thank you for your question. No, the lavender has been discontinued. We hope this information will be of help to you. Highly recommend updating your sample pictures then. Is this available in pale blue? Why don't you include which colors ARE available in your write-up? BEST ANSWER: Thank you for your question. Please call our Exposures customer service at the number below and we can let you know what colors are available. We hope this information will be of help to you. Do you have light pink in the large memo? BEST ANSWER: Thank you for your question. 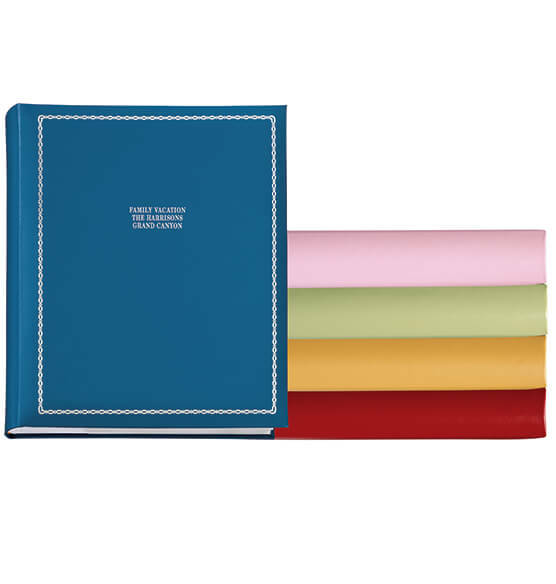 Unfortunately the pink Felicity large memo albums have sold out. Since we no longer have inventory and are not expecting further shipments from the supplier the item was cancelled. We hope this information will be of help to you.